Thirteen-year-old Joe Riley gets up to all sorts of mischief in this unsentimental portrait of Sydney during the Depression. What a year! Don Bradman scores 334 runs in the cricket test against England, the half-arches of the Sydney Harbour Bridge finally meet in the middle, Phar Lap wins the Melbourne Cup and Harry and I go into the egg business together. It might be the Depression, but there are plenty of opportunities to make money. The world is my oyster! Joe Riley has to be a little creative to make pocket money in his rough and tumble neighbourhood of Glebe. He's watched his dad keep ahead of the law and he's sure that he can too, gambling on billycart races and selling farm-fresh eggs from his uncle's chook farm. But when his parents send him off to St Bartholomew's - a Catholic boarding school on the other side of the harbour - Joe's carefree existence is a thing of the past. Homesick and lonely, Joe meets the darker side of human nature and finds himself at odds with the school, especially Brother Felix. Expelled from St Bart's, Joe is sent to a reform school on the south coast known as The Farm. Life is tough there for a boy from the city, but it's through working the land and tending the animals that Joe finds inner strength and peace, and rediscovers the thrill of true freedom. 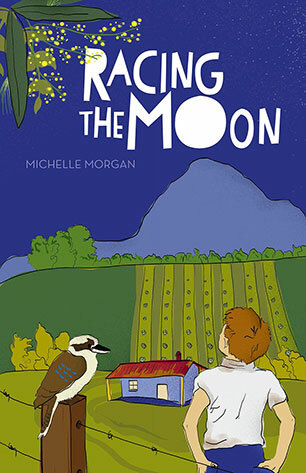 Michelle Morgan has worked as a librarian and teacher and has written several plays. 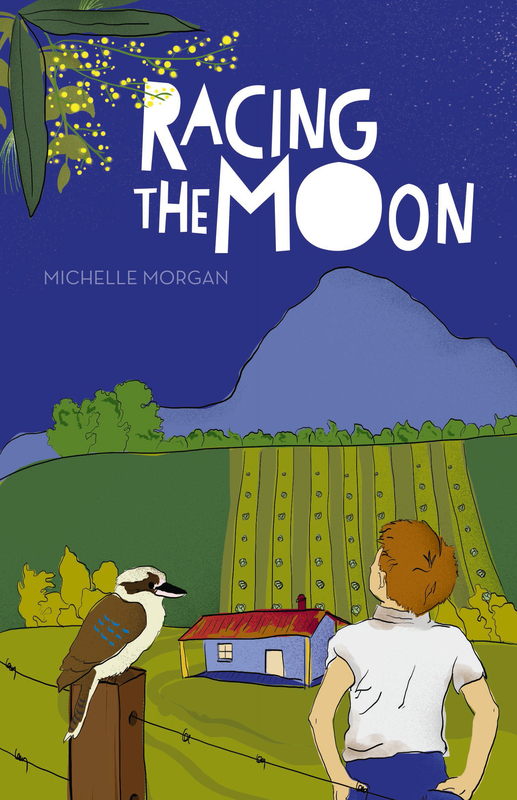 She started writing Racing the Moon while living on Norfolk Island, and now lives near Bowral in New South Wales.